When travelling in Provence one walks in the footsteps of the Romans. Their presence can be felt everywhere, in the roads they built, the cities they founded and the monuments they erected. In this former Provincia Romana, one city is more Roman than all others: it is the city of Arles, one of the residences of Emperor Constantine I the Great in the 4th century, and later the "praetorian prefecture" of the Gauls. 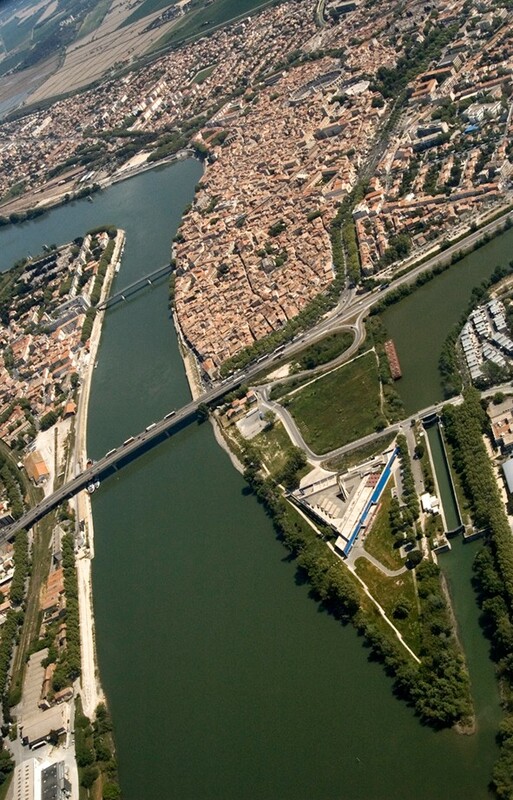 Arles, "the Little Rome of the Gauls," has preserved most of its Roman monuments: its Theatre and Amphitheatre, the Baths of Constantine, remnants of its Forum and traces of its Circus. 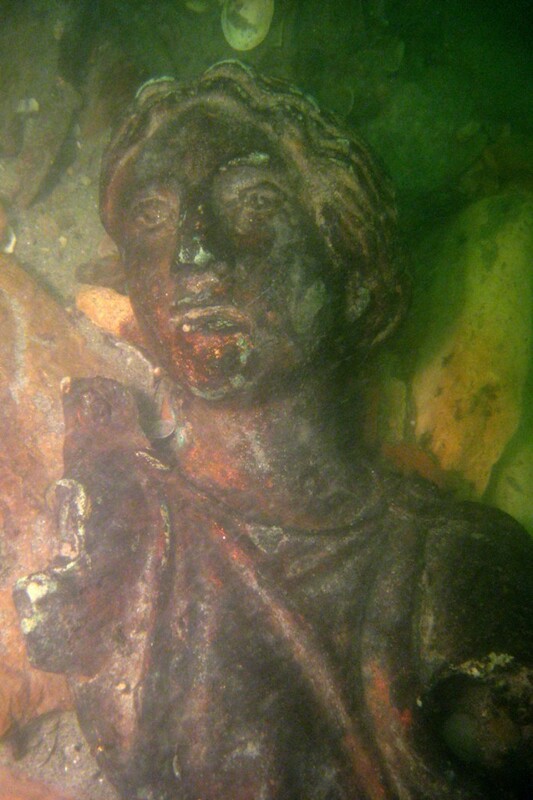 Another part of the city's Roman legacy had remained hidden for the past two millennia. Buried deep into the silt of the Rhône River, statues, artefacts, elements of architecture, and ornaments of all kinds were awaiting discovery—these are the treasures that the Departement of Underwater Archaeology has patiently brought to light over the past twenty years and that are presently on exhibition at the Musée Départemental de l'Arles Antique. Among these precious relics of Roman splendour, one is familiar to Newsline readers: it is the marble bust of Julius Caesar that, along with other sculptures, was brought to CEA-Cadarache's Laboratoire de Mesures Nucléaires in July 2008 to be submitted to gamma ray tomography. Caesar's bust is the centrepiece of the exhibition at the Musée Départemental. It is the only one of two surviving representations of the dictator made while he was still alive. 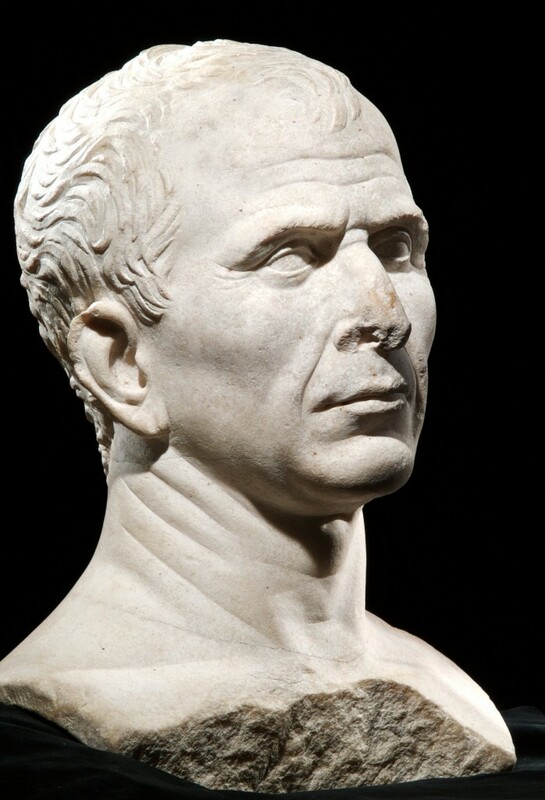 The work of art is strikingly realistic—expression, wrinkles, prominent Adam's apple and receding hairline are similar to those that appear in coins minted in the years just before his assassination, in 52 BC. Entitled "Caesar, Memory of the Rhône River," the exhibition presents some 700 statues and artefacts, most of them salvaged from long-sunken ships, some that were just dumped into the river—waste and litter that 2,000 years of oblivion have turned into historical treasures. The exhibition opened on 24 October 2009 and will run to 19 September 2010. The Museum is open every day except Tuesday from 10:00 a.m. to 18:00 p.m. It will be closed on 25 December and 1 January.